If you have any questions about the NOA VII information page below please contact us. The capacious superyacht NOA VII is a motor yacht. 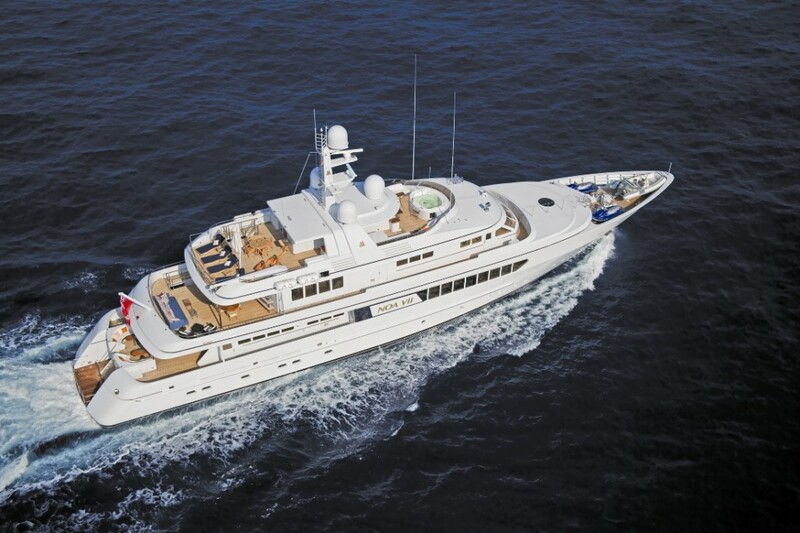 This 48 m (158 ft) luxury yacht was developed by The Feadship De Vries Shipyard in 1997. NOA VII is ex 653 Katrion. Superyacht NOA VII is a elegant yacht that is able to sleep a total of 12 passengers on board and has a total of 10 qualified crew. 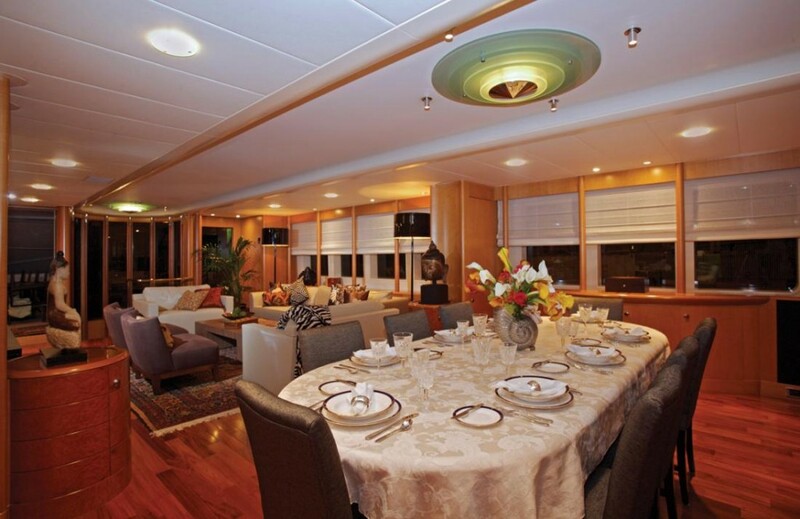 The gracious motor yacht was created with naval architects De Voogt Naval Architects and Guido De Groot. John Munford was involved in the designing of the interior. The yacht's general design work came from De Voogt Naval Architects and Guido De Groot. The professional naval architect firm intellectual property are the products of De Voogt Naval Architects. 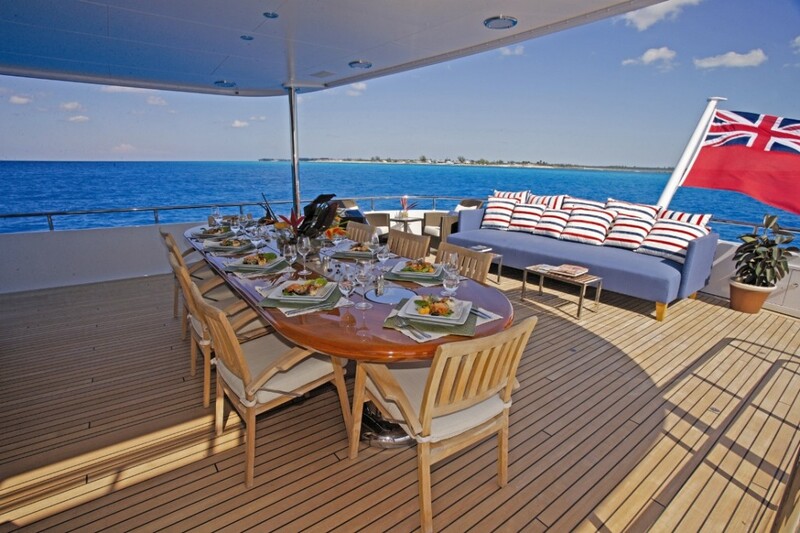 Motor Yacht NOA VII received her stylish interior designing from the interior design office of John Munford. 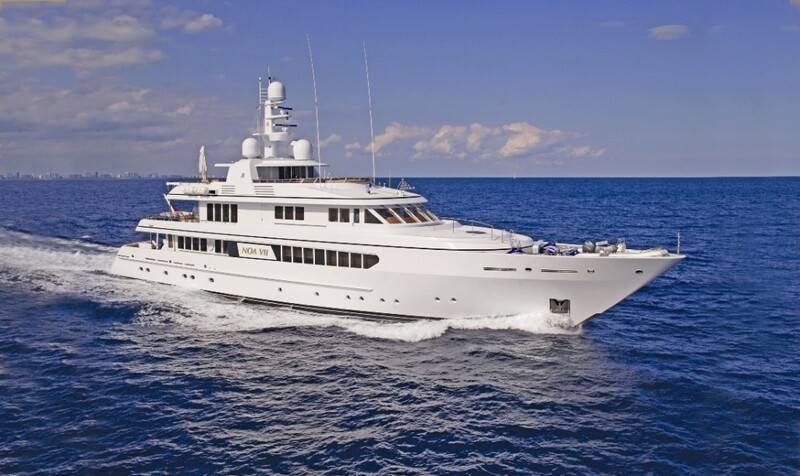 the Netherlands is the country that The Feadship De Vries Shipyard constructed their new build motor yacht in. After the formal launch in 1997 in Aalsmeer the boat was then delivered on to the yacht owner following sea trials. Her hull was crafted from steel. The motor yacht superstructure component is fabricated mostly from aluminium. With a beam of 8.69 m or 28.5 ft NOA VII has fairly large interior. She has a reasonably shallow draught of 2.9m (9.5ft). She had refit maintenance and modification completed by 1999. The vessel for its propulsion uses twin agile CATERPILLAR diesel engine(s) and can accelerate to a impressive top end speed at 15 knots. The engine of the yacht generates 905 horse power (or 666 kilowatts). Her total HP is 1810 HP and her total Kilowatts are 1332. For propulsion NOA VII has twin screw propellers. As for the yacht’s stabalisers she uses Vosper. This yacht’s high cruising speed is 12 knots which produces a range of 3100. Providing chambers for a maximum of 12 visiting passengers staying on board, the NOA VII accommodates everyone comfortably. This ship requires approximately 10 capable crew to maintain and sail. 48.16 metres / 158 feet. Range in nautical Miles is 3100 at a speed of 12 knots. On October 2009 NOA VII sailed to Filótion, in Greece. NOA VII has cruised the cruising ground within Provincia di Reggio di Calabria during the month of Sept 2009. Heinen & Hopman is the brand of air conditioning employed to climatise the interior. She has a teak deck. The luxury yacht NOA VII displayed on this page is merely informational and she is not necessarily available for yacht charter or for sale, nor is she represented or marketed in anyway by CharterWorld. This web page and the superyacht information contained herein is not contractual. All yacht specifications and informations are displayed in good faith but CharterWorld does not warrant or assume any legal liability or responsibility for the current accuracy, completeness, validity, or usefulness of any superyacht information and/or images displayed. All boat information is subject to change without prior notice and may not be current.